RED FANG – “Hank Is Dead” (Official Music Video), check out one of the coolest driving songs for those who listen to rock&roll music! This car song is truly awesome and it has a funny video which starts with a fat guy who showers and suddenly finds himself surrounded by two band members from Red Fang, all naked! Kind of awkward isn’t it? These guys from Red Fang really know how to put up a show and make you feel nice and cool especially if you’re into rock music so get a high performance cd player, some quality speakers and enjoy your new ride comfort created with the help of your car care measures. 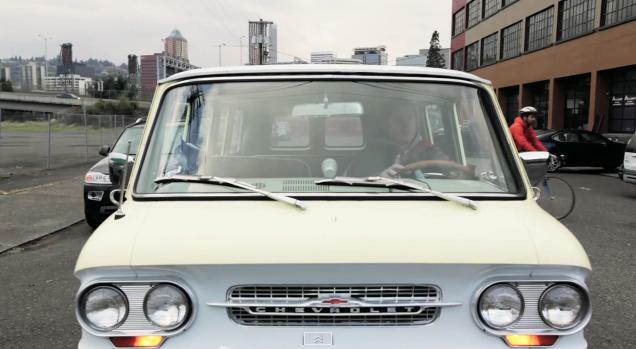 I find this driving song pretty energizing and you also get to see these old school classic cars like that white Chevrolet Corvair Greenbriar Van from the 1960’s. I really do like to see these american autos and their reliability, those car engines keep up after so many years. What I dislike about this video is that masked commercial for Monster Energy though :); anyway it’s hard to make a music video without having some good sponsors so lovely car songs like this one are allowed to monetize theirselves! Previous articleElectric Bmw E36 with massive torque!! The future of race cars, must see video!